Traditionally, when you are ready to sell your home, you call in a realtor to handle the marketing, negotiate the sale price and help the bank’s attorney collect all of the documentation to transfer ownership to the buyer. There is no legal reason to engage a realtor in this transaction, however. If you take control of the sale of your home, you will reap certain advantages. The biggest advantage to a “for sale by owner” for you, the seller, is the financial savings. If you can sell your home without a realtor, the savings could be substantial. A realtor will cost you between 4 and 10% of the purchase price in commissions. At 10% on a house that sells for $100,000, the commission is about $10,000. Other advantages to you as the seller include taking control of the process. It is your house, and you know what its most attractive features are. You will be able to put the house in the best light with your own staging and marketing. You can determine when to have an open house without depending on a realtor’s busy schedule. When it comes to negotiating with buyers, you could also have an advantage there. You know what your house is worth, what you need to get out of it and how much pressure you are under to sell. Many buyers will respond more positively to negotiating a deal with the homeowner directly. You can add a more personal touch to the communications. When it comes to selling your home, if you can make it for sale by owner, you might get a better price and have a more positive experience. The only downside is you need to know a bit more about real estate sales when you do not have a professional realtor backing you up. 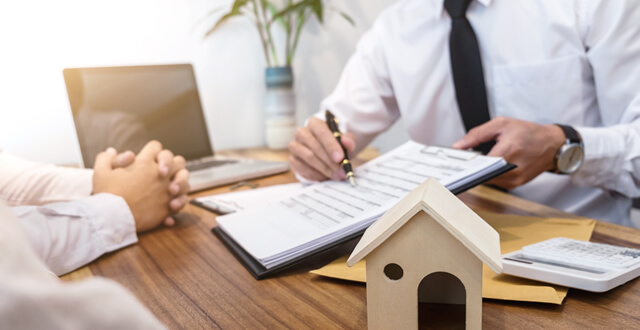 Real estate transactions are usually fairly simple, though, and with the following tips you could complete a private sale of your home. Selling your house yourself can be a big project, but the savings are worth the trouble. With these tips, your for sale by owner experience can be a positive one. Buyers come to look at the house, and you give them a thorough tour, answering all of their questions about the property. They present an offer in writing with a deposit. The deposit is meant to ensure that, once you agree to terms, the buyer won’t walk away from the deal. That deposit is usually non-refundable under any circumstances. At the end of the negotiations, the buyer and the seller sign a contract. The contract stipulates the terms of the sale, any carve-outs, and a timetable for closing. Conventions vary slightly by region, but in most locations the appliances stay with the house along with light fixtures and any fixtures permanently attached to the house. Draperies and window coverings may be included in this, but you should research to see how it is done in your area. The sales process is relatively simple, but if you are going to sell the house yourself, you’ll need to be familiar with it. There are many real estate resources online you can read. You could also ask your real estate attorney any questions you have. The key to successful real estate sales is price. When a home reaches the right price for the market, it will sell. With the price too high, your house may remain on the market for a long time. Selling your home is not difficult, but transferring ownership of it is a legal transaction best handled by a professional. Errors at the closing could cost you a lot of money and come back to haunt you many years after you have moved into a new house. Advertising and marketing are important aspects of selling your home. Be sure to include “for sale by owner” in your advertising because it will attract more buyers. Find a way to get your home in front of potential buyers. The more people who know about your home sale, the faster it will sell. Photography is an art and extremely necessary for selling a home. Taking photos of rooms inside your home requires special equipment and talent. Bring in a professional to get the best pictures possible. When in doubt, notarize! Selling your home involves many contracts and financial documents and disclosures that are legal instruments. One signature missing or an un-notarized signature could be grounds for voiding the deal, even after closing. The sale of your home is too important to let a simple detail like notarizing a document fall through the cracks. Selling a home does not seem like a dangerous activity, but there are a couple things that can go wrong. The biggest danger would be attracting a viable buyer but not closing the deal. Another danger would be closing the deal only to have it voided years later on a technicality. Don’t let your deal fall apart after you’ve worked so hard to sell your house. Get complete notary services day or night with Superior Notary. For more information about mobile notary services or to schedule, consult our website.